Euroopan 1 Juniori Brandiltä, 12kpl pakkaus palloja. 2-kerros pallo on optimoitu juuri juniori pelaajille! 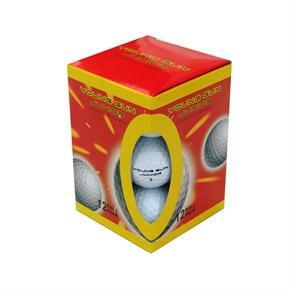 Direct from Young Gun, Europe's number 1 junior golf brand, these golf balls are designed specifically for the swing and playing style of junior golfers. Young Gun's operating philosophy is that junior golfers shouldn't simply use smaller versions of adult products, but instead strip back design to first principles, engineering junior golf equipment from scratch designed to aid a young golfers progress. Tuotteen lisäyspäivä: lauantaina 20 maaliskuuta 2010.